Do You Need To File Bankruptcy? Who Gets Paid In A Bankruptcy Case? President Trump has chosen David Friedman to be his ambassador to Israel. He’s a unique choice for the role, breaking with a long held policy consensus in denouncing the two state solution and backing settlements. Friedman grew up in Woodmere, New York as the son of Morris Friedman. Head of the New York Board of Rabbis, Morris preached from a Conservative pulpit in Long Island. He attended Columbia for his undergraduate degree and New York University for his law degree, which launched him into a legal career focused on bankruptcy. Friedman’s appointment was hailed by the Republican Jewish Coalition, and that’s perhaps as much to do with his GOP pedigree as with his Israel stances. More than three decades ago, the Friedmans opened their home to President Ronald Reagan, who paid a visit to Morris Friedman’s synagogue and then had lunch with the family during one Shabbat. It was the first trip by a sitting president to a Jewish house of worship since President George Washington’s time. 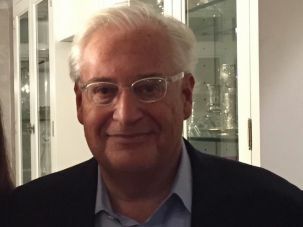 Friedman, who writes a column for the far-right Arutz Sheva news outlet, wrote in a June piece that members of the pro-peace Israel group J Street are “far worse” than Nazi prison guards. “They faced extraordinary cruelty and who knows what any of us would have done under those circumstances to save a loved one?” he opined. “But J Street? They are just smug advocates of Israel’s destruction delivered from the comfort of their secure American sofas – it’s hard to imagine anyone worse.” As Ha’aretz has documented, Friedman has also pumped tens of millions of dollars into West Bank settlements through his own fund. Besides his Israel advocacy, and serving on an advisory council on the Jewish state for Trump, Friedman has no diplomatic experience. 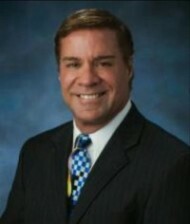 He represents creditors in bankruptcy cases at his law practice, Kasowitz Benson Torres and Friedman LLP. He is, however, a fluent Hebrew speaker.